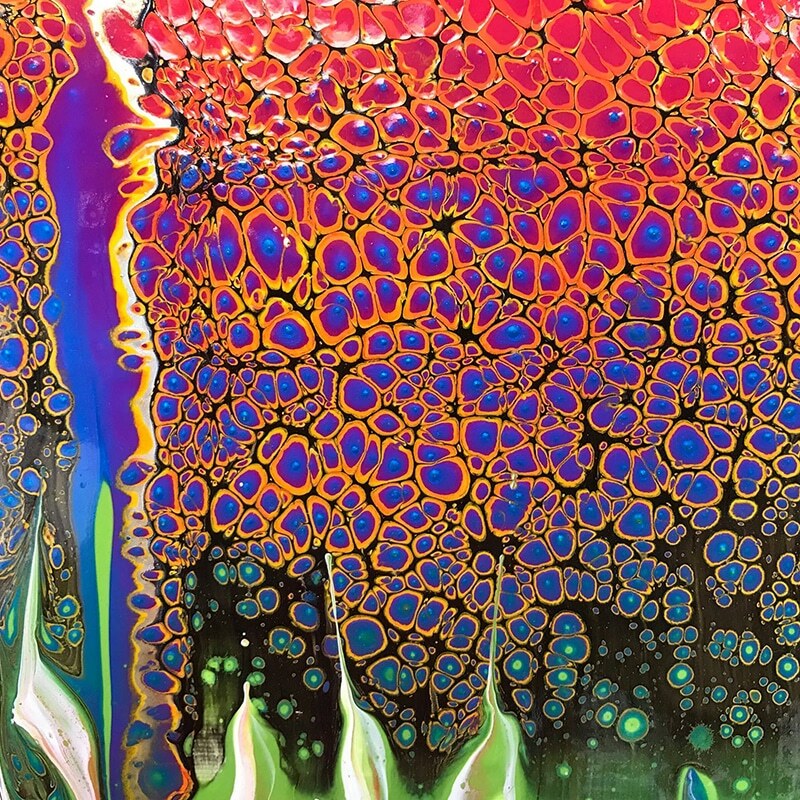 Acrylic paint pouring artist Caren Goodrich uses Owatrol Easy Flow in her art work! 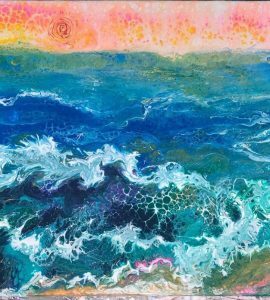 Caren is a very well know artist who creates beautiful works of art called ‘acrylic paint pour’ or ‘fluid art’. 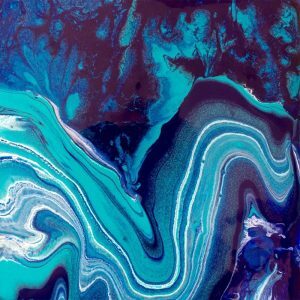 What is acrylic paint pouring art? Acrylic paint pouring is probably best described as contemporary abstract art. Similar to the styling of Jackson Pollock but with a different way of controlling where the paint goes on the canvas. 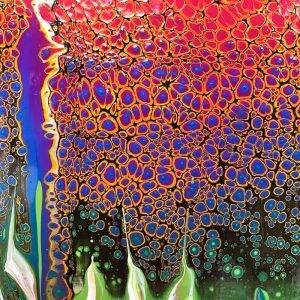 There are several ways to create a piece of acrylic paint pouring art, however, Caren tends to work in a couple of ways. She places paint into a cup, either one colour per cup or places them all slowly into a single cup. She then slowly pours out (or flips the cup over completely) the paint onto a canvas. Once the paint is on, she then picks up the canvas and moves the paint around by tilting it. Doing this allows Caren to decide approximately where she would like the paint to end up. This creates beautiful one of a kind pieces of art. Take a look at the video below to see why Caren likes using Easy Flow so much. What exactly is Easy Flow? Unlike damaging paint thinners or water, Easy Flow does all this without changing the quality of the paint and without affecting its color. Easy Flow is available in 1 and 2.5 liter bottles and can be found here. Still have questions about using Easy Flow in your art? Take a look at this previous blog post that answers the most popular asked questions. If you still have any queries, please feel free to contact us here. Images and video credit to Caren Goodrich.